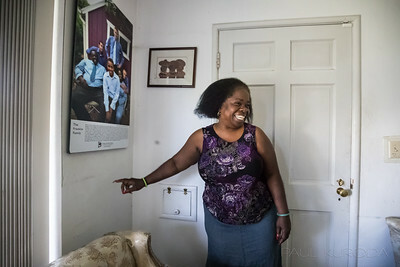 Betsy Franklin shows a published photo of some of her 11 foster children on Thursday, Aug. 17, 2017 in San Leandro, CA. Betsy Franklin both reared 11 foster children. 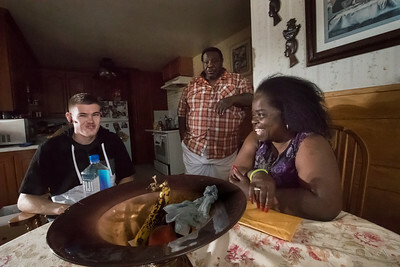 Paul was disabled so stayed at home and cared for the kids. They speak to a reporter on Thursday, Aug. 17, 2017 in San Leandro, CA. 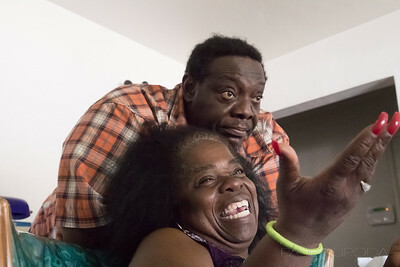 Betsy Franklin laughs with foster son Timothy Curran, 22, with father Paul in their kitchen on Thursday, Aug. 17, 2017 in San Leandro, CA. 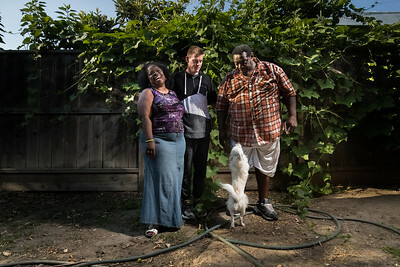 Betsy and Paul Franklin with foster son Timothy Curran, 22, and dog Thunder in their back yard's chioti plant on Thursday, Aug. 17, 2017 in San Leandro, CA. 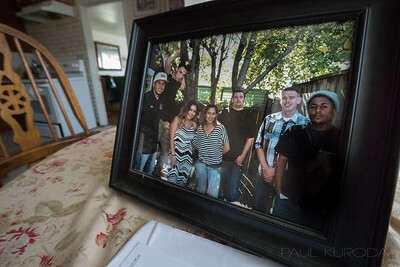 A framed photo of some of the Franklin's foster kids on the kitchen table on Thursday, Aug. 17, 2017 in San Leandro, CA.